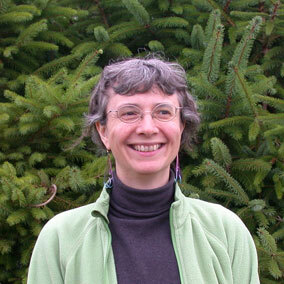 Pia is a Research Associate in the Department of Forest and Conservation Sciences. In earlier research projects Pia created realistic climate regimes to simulate growing seasons with varying mean annual temperature in controlled climate chambers. The advantage of doing so is that we can test and compare young plants of different seed sources in climates warmer than those in field sites. We can also do this in a consistent way, without having to deal with year-to-year variations in weather. Pia has grown lots of plants and made lots of physiological observations. Since we are trying to link genotypes with phenotypes, it is important that the growing and the phenology observations are done timely and accurately.